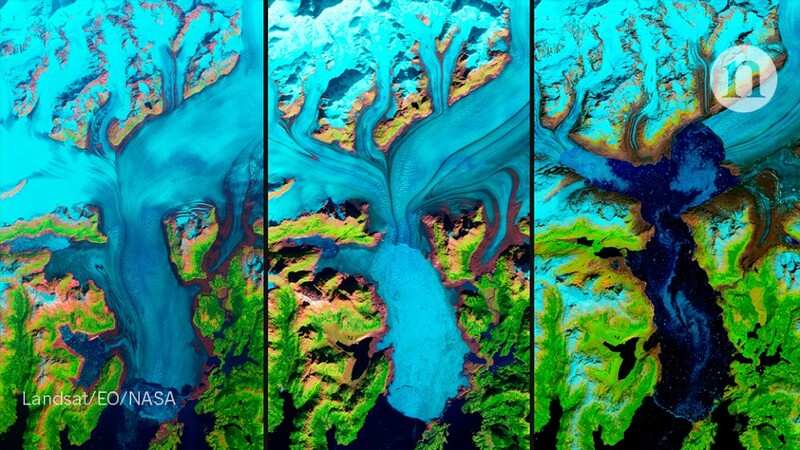 The US government is considering whether to charge for access to two widely used sources of remote-sensing imagery: the Landsat satellites operated by the US Geological Survey (USGS) and an aerial-survey programme run by the Department of Agriculture (USDA). Officials at the Department of the Interior, which oversees the USGS, have asked a federal advisory committee to explore how putting a price on Landsat data might affect scientists and other users; the panel’s analysis is due later this year. And the USDA is contemplating a plan to institute fees for its data as early as 2019. Brazil was among the first countries to pioneer the use of satellite imagery to track annual land use change. However, these initiatives have been constrained by a lack of frequent, high-resolution data — making it difficult to segment different land use classes or detect degradation early enough to intervene. 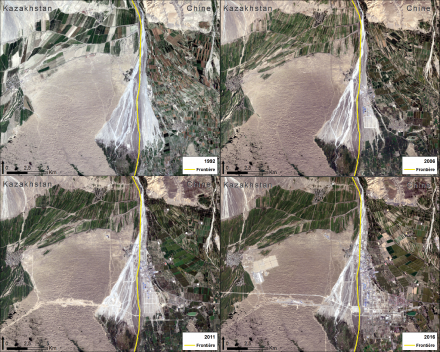 Recent improvements in the spatial and temporal resolution of satellite imagery by Planet and the availability of machine learning and imagery analysis at global scale by #Google offer new opportunities to disrupt historical limitations. 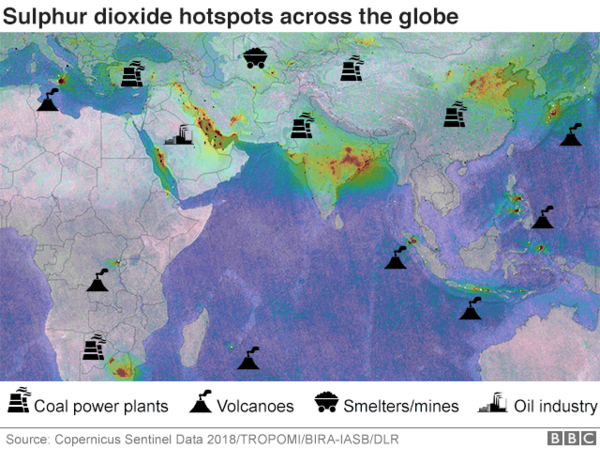 The spacecraft was put up last year to track the gases responsible for dirty air - with SO₂ being one of the prime culprits. j’ai donc fait un peu d’ordre et mis les liens et textes à la bonne place. J’essaie de faire une petite #métaliste des listes. Ce travail a pour objectif l’analyse multiscalaire de deux représentations du projet de coopération chinois de la nouvelle Route de la Soie. 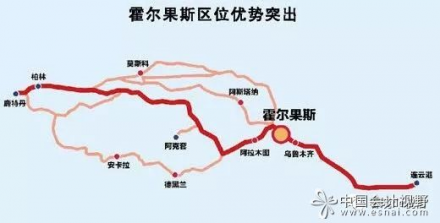 La première représentation est cartographique et s’applique à l’échelle continentale : il s’agit de la première image spatialisée du projet chinois, #New_Silk_Road, New Dreams, proposée par l’agence gouvernementale #Xinhua en 2014. 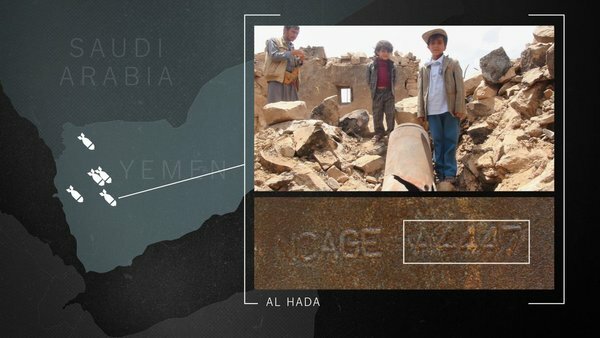 L’analyse cartographique s’appuiera notamment sur l’observation des éléments techniques et sémantiques de l’image. La seconde représentation, territorialisée et à grande échelle, est #Khorgos, une zone en développement située sur la frontière sino-kazakhstanaise et considérée comme la plaque tournante de la coopération transfrontalière entre Pékin et Astana, allié stratégique de la Chine dans son projet Route de la Soie. Nous mobiliserons le traitement d’images satellites afin de reconstruire et de comprendre l’évolution et le développement de l’aménagement de cet espace de frontière de plus en plus artificialisé. La ville de Berlin doit constamment maîtriser un manque d’eau. Elle y arrive en recyclant les eaux usées. 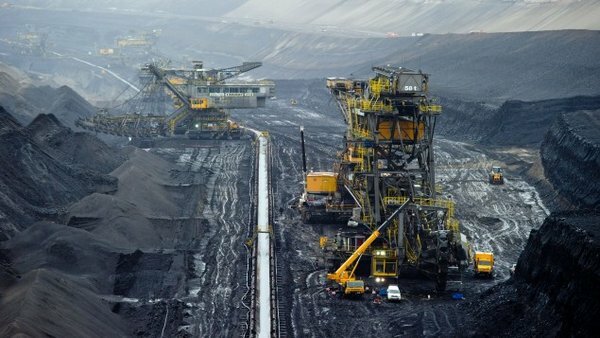 Pendant les mois chauds la ville injecte plus d’eau dans son fleuve principal qu’elle n’en puise à cause de la fermeture des mines à ciel ouvert dans la région de la Lausitz. 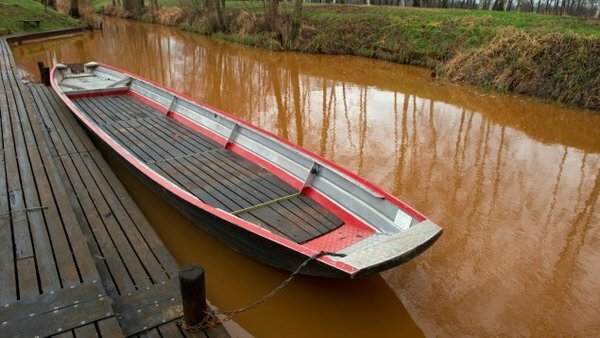 On y remplit d’eau les énormes trous laissés par les mines pour les transformer en paysage de vacances. 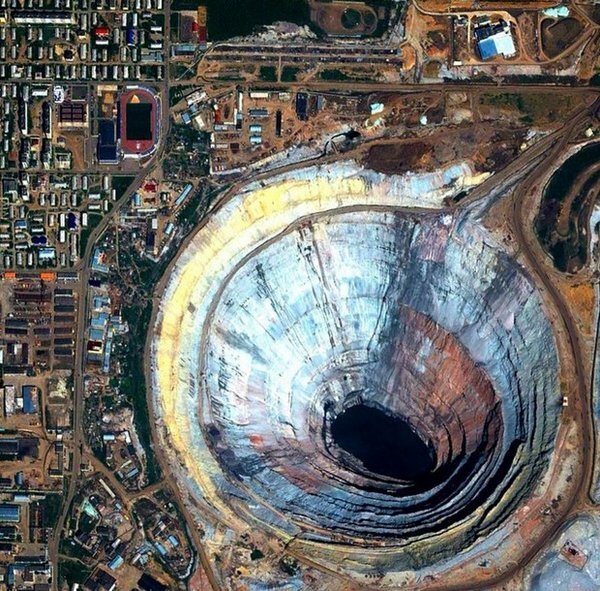 En même temps les mines encore en exploitation sont la cause d’un énorme problème de pollution. Generell ist die Region Berlin-Brandenburg mit ca. 550 Litern Niederschlag pro Quadratmeter und Jahr die abflussärmste Deutschlands. Konkret bedeutet dies, dass für einen Einwohner des Spreegebiets nur ein Viertel der Wasserressourcen zur Verfügung steht, die für einen Einwohner anderer Flussgebiete zur Verfügung stehen (siehe Abbildung). Für Einwohner des wasserreichen Rheingebiets steht sogar achtmal soviel Wasser zur Verfügung. Dies steht zwar in einem scheinbaren Widerspruch zu der Vielzahl an Seen in und um Berlin. Allerdings, so erläutert Dr. Pusch vom IGB, sei deren Wassererneuerung sehr langsam. „Daher werden in Berlin für die Trinkwasserversorgung nicht Grundwasserleiter genutzt, sie würden sich zu langsam erneuern.“ Daher gewinnen die Berliner Wasserbetriebe (BWB) 75 Prozent des Trinkwassers Berlins (durch sogenannte Uferfiltration und aktive Grundwasseranreicherung) indirekt vor allem aus der Spree (vgl. Fachinfo der BWB unter ▻http://www.wasserforschung-berlin.de/schrift/band6/6-hei.pdf, S. 3). Nur 25 Prozent der Trinkwasserressourcen beruhen auf natürlicher Grundwasserneubildung. Aufgrund der aktuell geringen Wassermenge in der Spree und ihren Zuflüssen besteht laut Dr. Pusch aktuell eine Wasserknappheit in Berlin. „Zur Zeit nutzen die Wasserwerke fast die gesamte zufließende Menge an Spreewasser. Insofern ist man an der Grenze der Wasserressourcen angelangt.“ Wegen der generellen Wasserknappheit haben die Berliner Wasserbetriebe daher in den westlichen Stadtbezirken schon seit Jahren eine teilweise Kreislaufführung des Wassers eingerichtet, das heißt eine Wiederaufbereitung des Abwassers zu Trinkwasser (nachzulesen in einer Veröffentlichung Berliner Wasserforscher; vgl. ▻http://www.wasserforschung-berlin.de/schrift/band3/3-heinzm.pdf). Dr. Pusch warnt: „Dies ist wegen der Medikamenten-Rückstände im Abwasser nicht risikolos.“ In keiner anderen Großstadt Deutschlands sei man, wie in Berlin, gezwungen, Abwasser wieder zur Trinkwassergewinnung zu nutzen. Immer wieder trübt sich das Spreewasser bräunlich-rot ein, so wie am Naturspreewaldhafen in Ragow nahe Lübben. Die Braunkohle-Tagebaue in der Lausitz sorgen für Streit: Sie belasten die Spree mit Sulfat, weswegen die Hauptstädter um ihr sauberes Trinkwasser fürchten. Brandenburg dagegen verweist auf tausende Jobs, die an der Industrie hängen. En cas de catastrophe naturelle, les services d’urgence s’engagent dans une course contre la montre pour apporter aux victimes une assistance rapide. Parmi les premiers sur le pont, les cartographes de crise dont le rôle consiste à suivre l’impact de cette catastrophe afin de guider les secours. Electricity, like other commodities, has been used by the warring sides to exert pressure on opponents. Across Syria, people survive with little to no power, with a knock-on effect on other basics like water supplies. 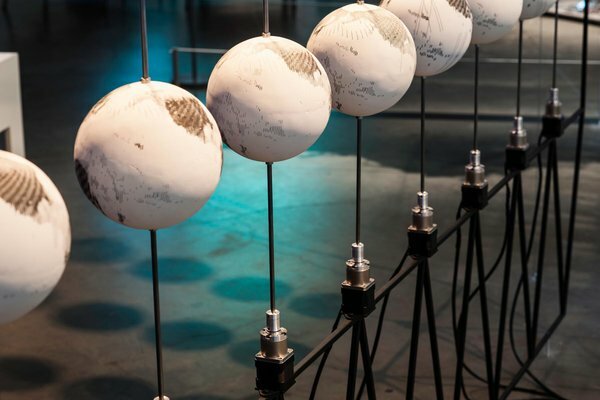 By looking at imagery metadata, interviews, meeting minutes of space treaties, and technological failures, Uncharted is an ongoing research inquiry into the rhetoric of the contemporary globe—and by what mechanisms it came to be. @reka : ça pourrait être une idée pour un billet @visionscarto... partir de cette expérience... il faudrait demander à Fortify Rights ! 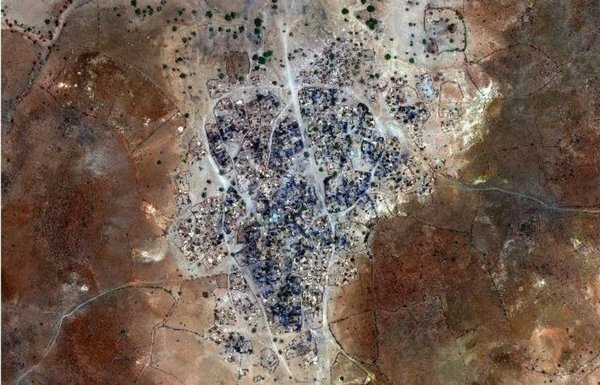 Amnesty International a lancé un projet participatif, #Decode_Darfur, pour repérer des traces de #destruction des #villages parmi les milliers d’#images_satellites de cette immense zone soudanaise. 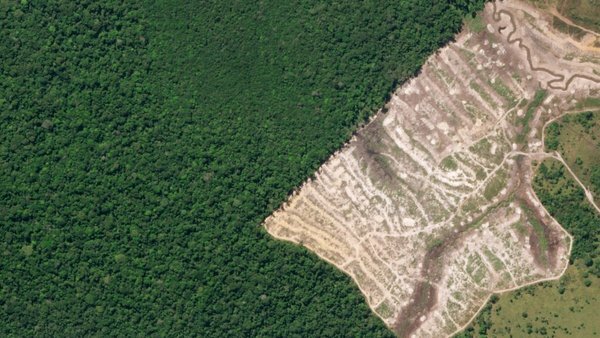 A new study published in the journal Conservation Letters finds that, between 2008 and 2012, close to 9,000 square kilometers (about 3,475 square miles) of the Brazilian Amazon were cleared without being detected by the government’s official monitoring system. 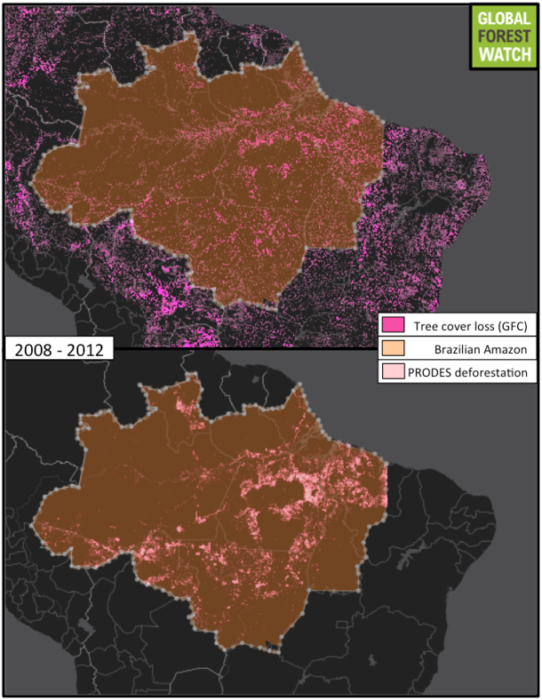 Brazil’s Monitoring Deforestation in the Brazilian Amazon by Satellite Project (known as PRODES) has played a key role in Brazil’s recent efforts to rein in deforestation. But when researchers with Brown University compared data from PRODES with two independent satellite measures of forest loss — from the Global Forest Change project and the Fire Information for Resource Management Systems — they found an area of deforestation roughly the size of Puerto Rico was not included in the PRODES monitoring. De nombreux moyens permettent de localiser rapidement les destructions de bâtiments, les glissements de terrain, les routes endommagées, etc. afin, dans un premier temps, de permettre aux secours de se rendre dans les régions les plus touchées et parfois aussi les moins accessibles. 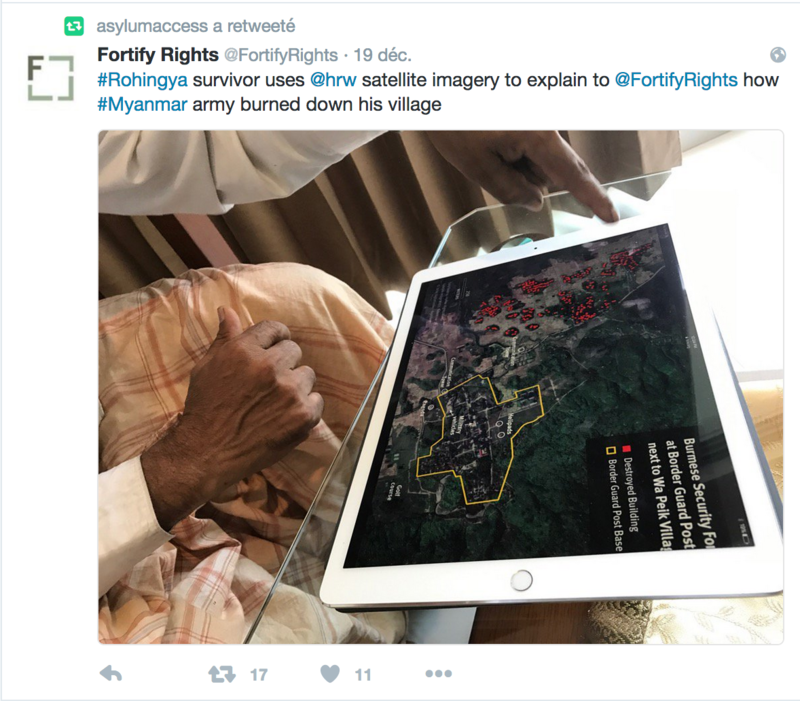 Il s’agit d’études faites à partir de cartes (#Open_street_Map) et d’images satellites pour que les missions de sauvetage et les organisations humanitaires onusiennes puissent localiser les zones les plus affectées et dresser rapidement des cartes de dommages actualisables. A key question ahead is whether governments will realize the value of this new data and act on calls from the scientific community to require that more vessels carry these observation sensors and use them properly. We estimate that approximately 70 percent of all large fishing vessels worldwide are already equipped with these publicly accessible tracking systems. Some captains, unfortunately, misuse the tool by turning it off after leaving port or failing to enter proper vessel identification information into the system. All such noncompliance issues are readily detectable by big data processing. Global Fishing Watch is the product of a technology partnership between SkyTruth, Oceana, and Google that is designed to show all of the trackable fishing activity in the ocean. This interactive web tool – currently in prototype stage – is being built to enable anyone to visualize the global fishing fleet in space and time. Global Fishing Watch will reveal the intensity of fishing effort around the world, one of the stressors contributing to the precipitous decline of our fisheries. 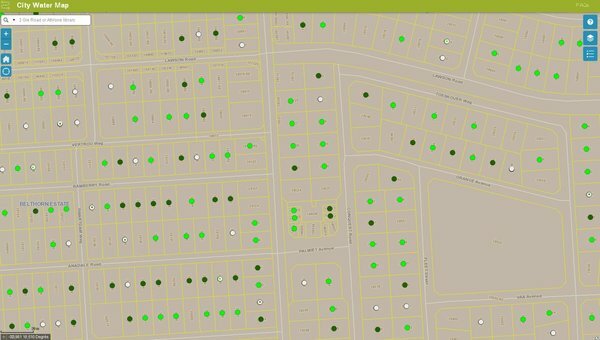 First, we have built an open-source, interactive, data-rich map of the city of Aleppo, at the neighborhood scale. Users can navigate the city, with the aid of high resolution satellite imagery from before and during the current civil war, and explore geo-located data about cultural sites and urban damage. 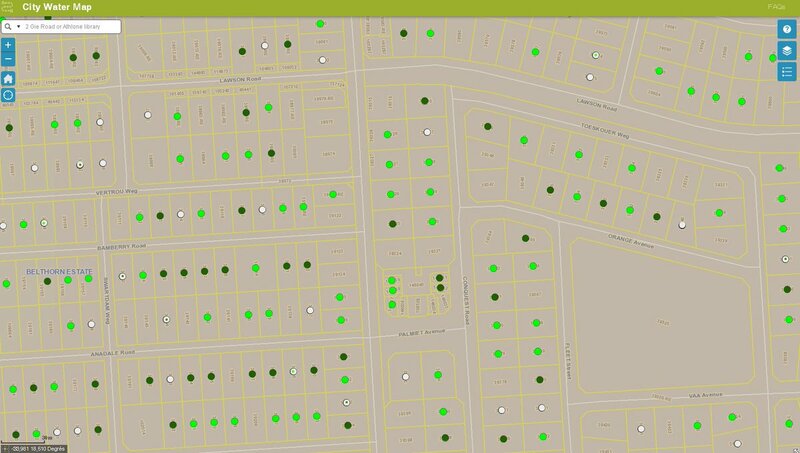 We will add data as it becomes available; currently we are grateful for datasets from from Human Rights Watch, the United Nations Operational Satellite Applications Programme (#UNOSAT), and the Humanitarian Information Unit (HIU) at the U.S. Department of State. Le Haut commissariat de l’ONU pour les réfugiés (HCR) et l’ONG Human Right Watch (HRW) ont appelé mardi la Jordanie à accueillir 12.000 réfugiés syriens actuellement bloqués dans le désert près de sa frontière. 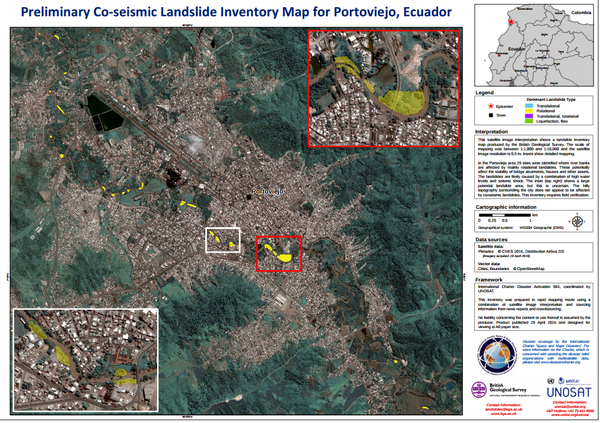 Satellite Imagery Confirms Thousands in Remote Border Zone. Jordan is blocking thousands of Syrian asylum seekers at its northeastern border region in deplorable conditions, Human Rights Watch said today. 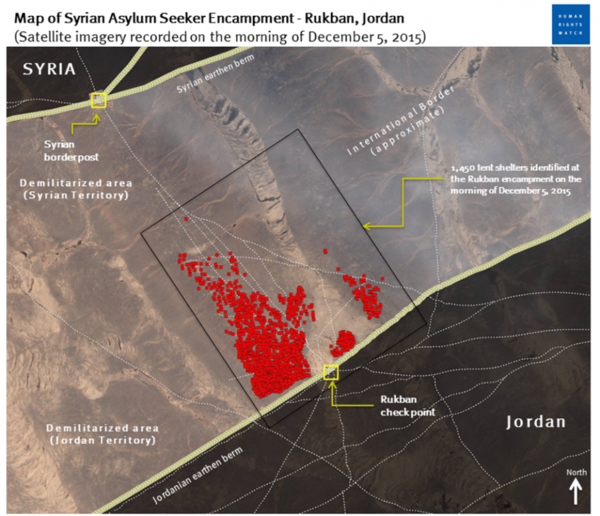 Satellite images taken on December 5, 2015, confirm that thousands of people are stuck in remote desert areas just inside Jordan’s border with Syria. UNHCR recognizes the tremendous contribution of Jordan in hosting over 630,000 refugees, which has put a heavy strain on its infrastructure and economy. We also acknowledge the serious impact of the Syria conflict on Jordan’s security. Twelve thousand refugees are battling disease and exhaustion in a barren stretch of desert along the Jordanian-Syrian border. Jordan said Monday that some 16,000 Syrian refugees are stranded in a remote desert area along its border, up from 12,000 a week ago. Government spokesman Mohammed Momani told The Associated Press that the refugees are being “carefully monitored” by authorities and have received tents, heaters, food and medicine from U.N. and other aid organizations. He said there are clinics supported by international agencies and the Jordanian military. Many of the refugees have spent weeks or months in what aid agencies say are deteriorating humanitarian conditions. 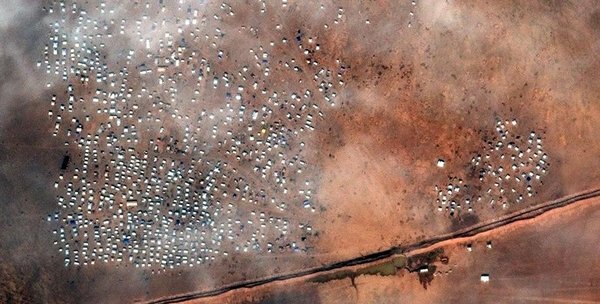 In December, Human Rights Watch said satellite images of “the berm” showed at least 20,000 refugees and the U.N. refugee agency urged Jordan to allow them to enter. The number of Syrian refugees stranded on Jordan’s border and waiting for permission to enter has risen to 20,000, with 4,000 to 5,000 more arriving in the remote desert area every month, the head of the U.N. refugee agency in the kingdom said Sunday. Amman is stranding approximately 50,000 Syrian refugees near the country’s border with Syria, according to multiple UN officials who provided this exclusive information to Al-Monitor. The number of trapped Syrians in Ruqban and Hadalat is nearly double what has been previously reported to be around 26,000 on Feb. 29. Al-Monitor has obtained confidential documents by the Office of the United Nations High Commissioner for Refugees (UNHCR), which show that 53% of the Syrians who have been blocked in this isolated desert are minors. 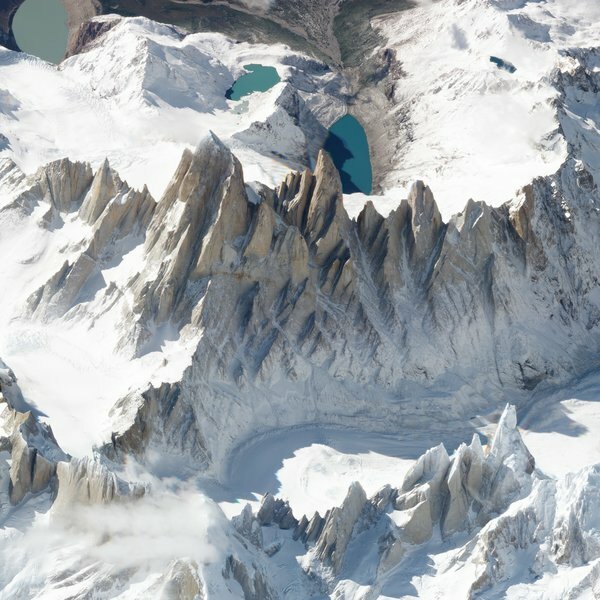 Landsat sees the earth in a unique way. 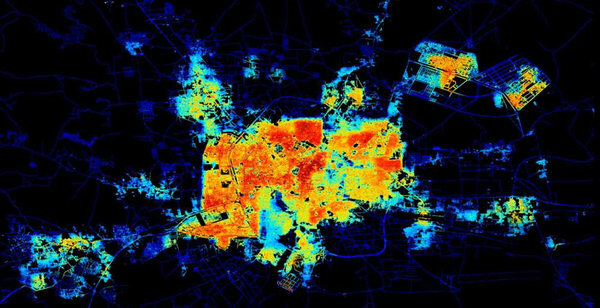 It takes images of every location in the world to reveal earth’s secrets, from volcanic activity to urban sprawl.